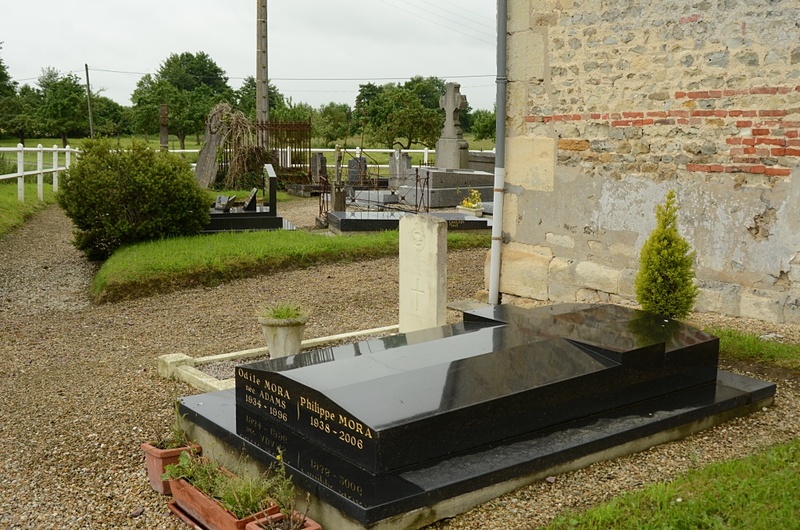 Cricqueville-en-Auge is a village and commune midway between Caen and Lisieux, 15 miles (24 kilometres) from each. 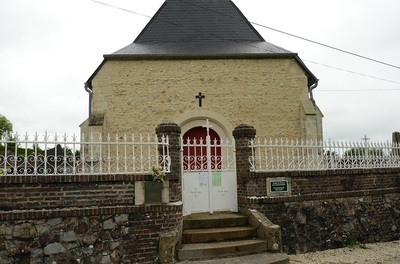 It lies 2 miles (3 kilometres) north of Dozule, which is a small town on the N.815 road from Caen to Pont-L'Eveque, 16 miles (25 kilometres) from Caen. There is 1 Commonwealth burial of the 1939-1945 war here, east of the church. 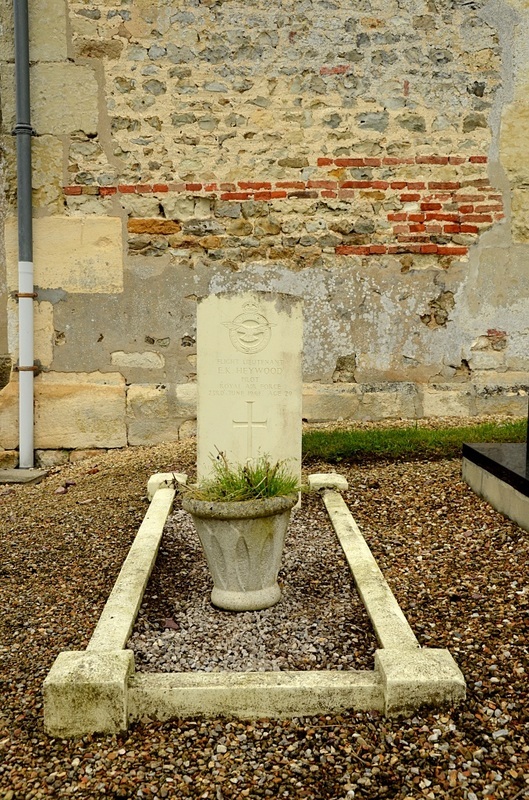 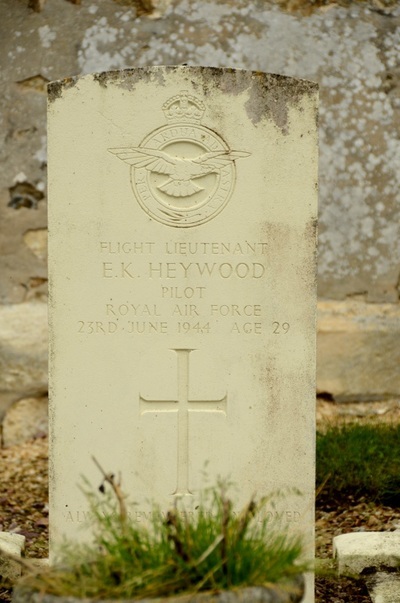 125517 Flight Lieutenant Edward Kinder Heywood, 26 Squadron, Royal Air Force Volunteer Reserve, died 23rd Julne 1944, aged 29. Son of Samuel Kinder Heywood and Beatrice Alice Heywood; husband of Margaret Heywood, of Sale, Cheshire.